Jamaican record label FiWi Music continues to make its riddim projects previously released on 7″ vinyl available on digital platforms. 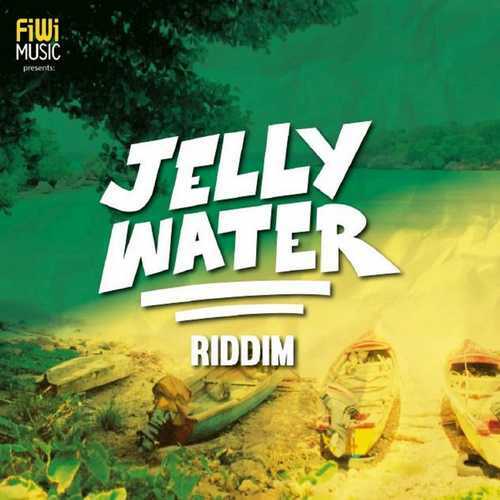 After the earlier this year reissued ‘Natty Bay Riddim”, “Old Skool Riddim” and “Stanpipe Riddim”, it’s now the “Jelly Water Riddim”, originally put out in 2002, that gets its digital release. Not sure if all tracks included here are from back then. Never heard of the tunes done by Sonia Collymore and Lenn Hammond’s brother Junyah Hammond as well as Courtney John’s “Forever”, so these might be new recordings. If so that’s really a good thing, because these are solid cuts truly worthwhile hearing and so, of course, is the absolutely gorgeous “Jelly Water Riddim”. Courtney John’s trademark falsetto graces “Forever”, one of the two lovers tunes he recorded for this riddim project. Compared with his second song called “I Am So Alive”, the one known from the 2002 7″ single releases, the opener shows how the singer’s voice over the years has developed into his trademark falsetto. Singing Melody comes up with a well done and thoroughly entertaining rendition of the Chi Lites’ 1973 song “Stoned Out Of My Mind” – also done in reggae style by the Mighty Diamonds, John Holt, Sanchez and Slim Linton. Awarded Best New Artist in the year 2002, sweet singing Bryan Art – at the time known as Brah Yhan – recorded several songs for the FiWi Music Label, which had previously signed him. “Hug Me Baby” was one of them, a very nice lovers piece you can either dance to or you can just sit and enjoy it. Also good to have a cut done by a songstress, in this case Sonia Collymore, whose “Superwoman” vocally and lyrically is a decent offering. Beres Hammond’s nephews Lenn Hammond and his brother Junyah Hammond never really crossed the border into stardom, however their songs “What Can I Say” and “I Want You Back” clearly show that they are very gifted and talented vocalists. Listening to the straight instrumental version of the “Jelly Water Riddim” is pure joy, as this is candy for the listener’s ears. Conclusion A quality juggling set with solid lovers tunes.